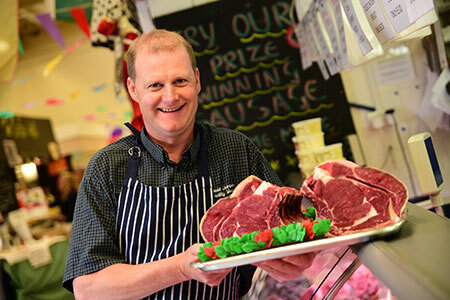 Attention will be on Chester Indoor Market butchers next week during National Butchers Week (12 to 18 March). 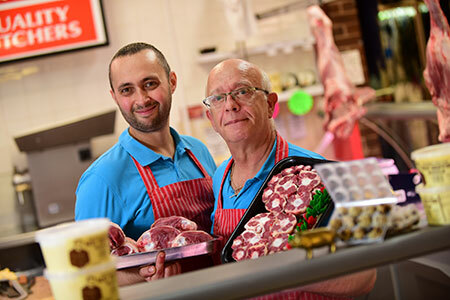 The Market, managed by Cheshire West and Chester Council has three popular butchers, Fernyhough’s Butchers, Dave Joinson Quality Meat and Geoff Hughes Family Butcher. To mark the week, each butcher will be sharing a short video on social media about their speciality. Fernyhough’s Butchers were established in 1982 specialising in high quality game produce; from free range veal to venison, Scottish haggis to poultry, and lots more that you won’t find on the High Street. Mark Johns has been in Chester Market for forty four years and proud of his locally sourced meats: “Being a small business we can source our meats locally and we know every farm that we’re buying from”. 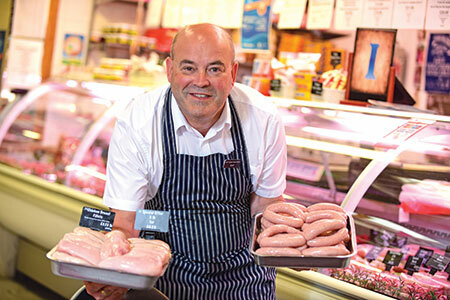 Dave Joinson Quality Meat have been supplying fresh meat and poultry at Chester Market for 30 years, and are known for their award winning sausages, which are listed in many pubs and restaurants including Chester Grosvenor hotel. Dave now uses state of the art ‘Dry Aging fridges’ for the best flavoured steaks. David Parry has been working for Dave for twenty nine of those thirty years: “We’re award winning sausage makers. We’ve won the Food and Drink festival three years on the run with pork and leek, pork and Cheshire blue and pork and apple”. For details about Chester Indoor Market visit www.chester.market.